How would you like to do Your Own Professional Feng Shui Consultation and print out over 70 pages of custom-made reports and natal charts? Over 70 pages of printed reports and charts for you personally or anyone else. Introducing the brand new Academy of Feng Shui software version 3.0, the best Feng Shui software just got so much better with over 60 new, and many more updated and improved features. Users of version 2.2 and below will not recognise the design, features and so much more. It really has had a major overhaul and is now so much easier, much more interactive and so much more intuitive to the user. The new features, updates and improvements are endless and are a perfect introduction for the year of the yang water Dragon in 2012. Many of you will know how passionate we are about our Feng Shui software; with over six years in development, 53 combined years of Feng Shui experience and over a year of beta testing with very well-known Feng Shui Master’s, consultants and students from every corner of the world. The Master and consultants business Feng Shui software editions will be one of the best investments you will ever make for anyone who runs a Feng Shui business or is a student of Feng Shui or anyone who wants to further their knowledge of this complex art. This software actually grows in size every time you add your own resource data with your own learning and clients. You can now enter your personal details like DOB, compass reading etc with all versions, it will then generate and print over 70 pages of reports and charts personalised to you or anyone else for any building, facing any direction, born in any year and living in any country throughout the world. Children’s development, academic performance and confidence. Instantly find your wealth, health, career, peach blossom, lucky directions, auspicious numbers, well-matched partner, auspicious colours, relationship areas. This is not black hat Feng Shui or any other gimmicky method; this is real Feng Shui that gets you results. Click here for more information and screen shots of the software. The Daily Planner section of the software as seen above can help you plan so much in your life from choosing a day to making a big decision or day to avoid; auspicious times, elements, colours, directions, 15 degree sectors or numbers. Good and bad days for every Chinese animal. Full diary to plan good and bad days, instantly seeing if it is a good or bad day for you. At the click of a button, you can immediately chart your own Xuan Kong flying star chart. Not only that, but with the click of another button you can have a detailed analysis and more importantly, comprehensive and instructions on how to cure and enhance, countermeasure or enhance certain parts of the home or office of any building in any part of the world. This is just a small part. There are many layers to this software and the most valuable addition to version 3.0 over previous versions in the flying star section is the fact that it has now got eleven new special combinations and formations like pearl string, locked prominent stars, menacing formations, fire burning heaven gate, inverse and hidden siren just to name a few and most of the information in this software has never been made available to the general public before. The practised master or consultant will not be worried as no piece of software will ever replace a Feng Shui Master or consultant, although this software will allow you to analyse your own home or office at a fraction of the cost of what a true Feng Shui professional would charge. This is not just a pretty looking gimmicky piece of software; it is a daily working piece of software that Feng Shui enthusiasts, consultants and students can use all over the world on a day to day basis for their Feng Shui consultancy business or daily life. You will not find anything as powerful anywhere in the world and best of all it is designed for southern and northern hemispheres so Australia, USA or UK wherever you are is ideal. This software is the best I have ever seen (believe me I have seen and used them all), not only can you carry out your own full analysis on your home you also learn from the software. The vast information is incredible and a credit to you Michael, well done. By the end of the first day using the software I felt not only had I cleared up many misconceptions but I also felt I had read about twenty books and they all finally fell into place. Not only that but it works, since doing my consultation on the software and implementing the suggested cures and enhancers things have been going grand. What experience do I need to use this software? None at all! Even if you have 30 years of knowledge and experience you will find this not only provides valuable information, but it is also a valuable piece of software that you can use to run a Feng Shui consultancy business personalised with your own company details and logo when you purchase the consultant business version. This software is not just used by the Feng Shui enthusiast; we have hundreds of Feng Shui Masters, Feng Shui teachers, consultants, architects, interior designers, builders, landscape gardeners, web designers, life coaches, alternative therapists, reiki healers and many other professions. We have supplied this software to hundreds of different types of businesses in every corner of the world; it is a valuable addition to many types of business. The professional version – for the Feng Shui enthusiast and anybody who wants to do a full and comprehensive Feng Shui consultation on their home or business and family, friends and neighbours with no restrictions and the ability to print over 70 pages of personalised reports for any building in any part of the world. The Master version – this is aimed at the enthusiasts, dedicated students and also teachers who want to use the software for teaching and doing consultations and input their own formulation and learning into the software along with many other features if you have been trained in a different school of Feng Shui you can enter your own theory and learning in any language you want, making the software actually grow in size. The consultant business version – The consultancy business version is aimed at the Feng Shui professional consultant and seasoned Master or anyone who wants to create professional printed reports and analysis with their own company details and logo along with all the features of the above two versions. If you are serious about Feng Shui in your business, you must have this software to create not only a more professional approach but to expand your knowledge and understanding and more importantly offer 100% safety in creating reports. The main difference between the three versions, is the consultant business version comes with an unlimited client database (Master version you can add 100 clients and pro version is 50) and you are able to add all your company details along with logos etc. we have also added the option to remove our copyright logo in all print outs so the reports will all be completely tailored to your business whether that is in Feng Shui, interior design, garden landscaping or any other type of business that you use this valuable software. Which version should you buy? These are just a few of the features; if you follow the link at the bottom, you will find many screen shots of the software and further features. You will not have to spend hours calculating your natal charts or Gua details, as this is all automatic and best of all, 100% accuracy. Lists 24 mountains with full Chinese name and an easy reference name like north 1, southeast 2 etc. House Trigram, element and 24-mountain calculator. Placement of water for wealth. Wealth, business, relationship, health, romance, career, children and overall harmony advice on each sector of the home or office. Over 1500 hours of development to build the software with over 2.2 million lines of software code. Over 4500 hours of Feng Shui development into resource and formula and 53 years of combined experience have gone into this software. In addition, we are giving you 13-month free exclusive access to the annual and monthly flying star analysis with cures and enhancers advice at a touch of the button. 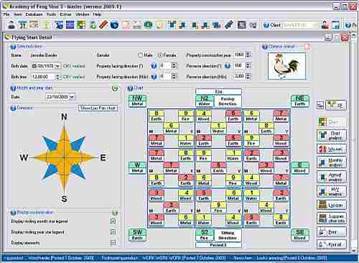 If you plan to use the software for your home, your business and your family and friends and are keen to learn the more intricate levels of Feng Shui then I would suggest buying the Master version as this version can calculate as many homes or people as you want and even save full details of up to 100 properties, more than most people would ever need. You can also edit and enter your own formula, cures and advice should you wish. Totally dedicated software that will enable you to learn further and record all your learning into the software and this will follow through on all your printed reports, a valuable tool for anyone who is serious about Feng Shui or is learning this intricate Chinese science. Professional and extensive printed reports. A complete editable database for the Min Gua section. What does this mean? The original software that I have personally been using in my Feng Shui business for around six years has probably tripled in the information contained within this software. Unbelievably, the software can actually grow in size. If you look at the screen shot you will see the standard text for a mountain #1 and facing #1 star. If you buy the master version you can add to the text in any language and save it, so every time this combination is called up your own text will be seen and if you want you can even delete my text and start all over. This is why the Master version is more expensive. This software is a working piece of software not just some pretty looking gimmick, a must for any serious enthusiast, Master or student. An editable working sheet/journal on the eight wandering stars of Eight Mansions where the user can edit or add descriptions to the individual stars. The eight directions/locations (energies) can be edited to incorporate your own theories, techniques, skill, teachings or experiences. Michael Hanna has given his own account on each area but you should use this software like a journal and record all your own study and also real life experiences with clients or friends. An example would be… list all door directions for each Gua Trigram i.e. Gua #6 if door is located in southwest, west or northeast good for wealth etc. If however, you are a Feng Shui business, Master, Practitioner, teacher consultant, architect, interior designer, builder, landscape gardener, web designer, life coach, alternative therapist, reiki healer, Feng Shui student or anyone who wants to expand their knowledge and understanding then the business version is what you require. 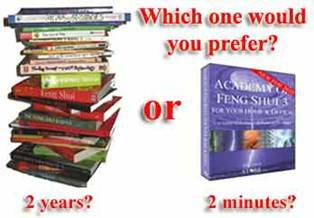 The Business version is probably the best investment you will ever make for anyone who has a Feng Shui business or is a student of Feng Shui. It actually grows in size as you add your own Feng Shui resource database with your own learning and clients. Business version can be added to a main computer and portable laptop as long as they are for just one user. You can also add your own logo to include in all reports and charts, which adds further to the professionalism these reports will give you or your company. What does this mean? The original software that I have personally been using in my Feng Shui business for around six years has probably tripled in the information contained within this software. Unbelievably, the software can actually grow in size. If you look at the screen shot you will see the standard text for a mountain #1 and facing #1 star. If you buy the master version you can add to the text in any language and save it so every time this combination is called up your own text will be seen and if you want you can even delete my text and start all over. This is why the Business version is more expensive. This software is a working piece of software not just some pretty looking gimmick, a must for any serious enthusiast, Master or student. The most important part of this software is it does not just give you information it shows you what to do and how to either enhance or cure certain parts of the home or office, never before has this information been available in software, in books yes, but these books can be very confusing and cause many problems through lack of understanding. Why did we create this Feng Shui software? We run one of the oldest and most established and extremely successful Feng Shui consultancy businesses in the world and are constantly booked several months ahead, we also run an International school of Feng Shui and teach other Feng Shui consultants from every corner of the world. We are also advisors, teachers, mentors and consultants to many Feng Shui consultants all over the world. So why did we put this software together? The original version was written by an exceptionally talented person called Justin Byrom BSc of Ocelot Solutions Ltd for Michael to use on a day to day basis for his Feng Shui consultancy and then evolved for his students, so eventually they decided to build a version for the general public and other Feng Shui Practitioners. Since meeting Justin we have developed six separate pieces of the most amazing software including one that we even use in the Feng Shui store to process all orders. Not everyone can afford a traditional professional Master to visit their home or office, this software is the next best alternative. Justin, Michael, Daniel, Josephine and the International Academy of Feng Shui continue to expand the software. Peach blossom and Chinese animal section. This is a new addition and I actually really love this section, packed full of information on ways to activate peach blossom which is often misunderstood and when loosely translated, it is referred to as ‘romance’ or ‘the good things in life’. If used correctly, it can help bring romance and can even be used to activate and strengthen career prospects, either way you follow the instructions in the same way. Using this little known Feng Shui technique can help attract new romance with people in your life. Advanced Chinese animal analysis for your personal earthly branch giving a much more accurate and superior analysis. Extensive, improved and extremely interactive help files at a glance for every section of the software. Diary system to show you date and time to place enhancer. Good and bad activities for the day in icon or text format. Draw in 100% scale in imperial feet or metric. Automatically marks north, south, southeast etc so no confusion. Change compass readings in real time. Change facing direction, left, right, top & bottom. Import your own images like scanned floor plans etc. Import your own images such as scanned floor plans etc. allowing you to superimpose the eight directions over your floor plan along with the flying star chart. No need to check day and hour of birth anymore. Powerful Chinese New Year accurate Gua calculator. Shows Trigram, Chinese animal, element, Trigram group. Prints a transparency or plain paper overlay for floor plans for eight mansions. Print full Gua reports showing all information. Your good and bad directions for wealth, health, relationships etc · Choose enhancing colours for yourself and your home/office.